Have you ever dreamed of owning your own spa, but thought you could never afford it? 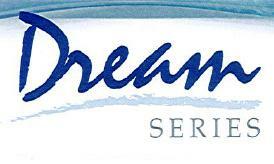 Now you can make your dreams come true with a Dream Series spa from QCA Spas! Our Dream Series spas are built for efficiency, affordability, and portability. We call them our “plug and play” spas; Dream Series spas are so lightweight, they can be moved from inside to outside and require no special electrical needs. Available exclusively in the Luran S color, the Dream Series has 5 different models that accommodate from 2 to 5 people, with 8 to 12 jets. Have you always dreamed of woning your very own spa, but thought that you could never afford one? Now you can make your dreams come true with a Dream Series spa from QCA Spas. Relax in the warm, whirling water while strategically placed jets massage your sore, aching muscles. Dream Series spas are tastefully designed with a maintenance-free cabinet that will compliment any decor. Each Dream Series spa is engineered to perform effciently indoors or outdoors, year round. Dream your life away in a Dream Series spa by QCA Spas. Convertible to 240V for outdoor use.